Running Linux distro on the old desktop or laptops is really the best option as compared to Windows because of light weight and fast speed. Although every Linux distro is not lightweight because of high graphical elements. For example– Linux distros those are running Desktop environments with high graphics such as Fedora, Ubuntu OpenSuse, Centos and more. All these Modern Linux distros meant to run on modern hardware. 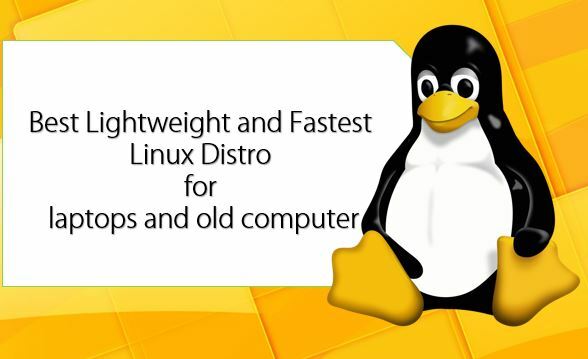 But that doesn’t mean that the lightweight Linux distros we are going to mention here do not have a good graphical user interface but the thing is the fastest Linux Distro are developed to run on the slow processor, low RAM and storage space. You can either go for options like LXLE, Lubutnu, LinuxLite or just install Arch Linux with some lightweight desktop environment. 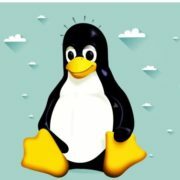 Its all upon you, what we can do is just give a list of Linux Distros those are fast and lightweight and can be used on the old Laptops or Desktops computers/ PC. Moreover, they can also be proved a good alternative to old outdated computers running on insecure Windows XP. There are tons of small Linux distros for laptops and desktops but here are some best options for old machines in 2018. Like its name, the Puppy Linux desktop distribution is small and consumes less space and memory to run; which makes it one of the best lightweight and fastest Linux distro. The Puppy Linux comes in three different versions– one is the official Puppy distribution maintained by the Puppy Linux team, other is woof-built and the last one is unofficial Linux distros based on the Puppy and known as Puplets. However, the Puppy Linux distribution officially has two versions– one is based on Ubuntu and other is Slackware. 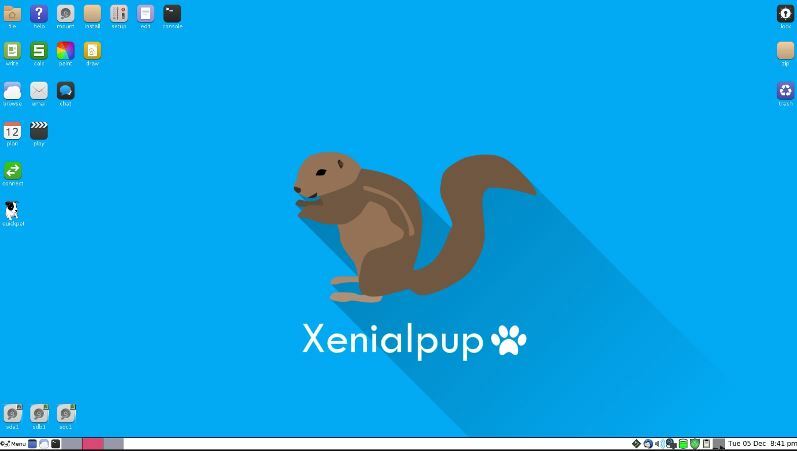 Xenialpup and Slacko Puppy are examples of that and both are available on the Linux Puppy official website. So, if you have a good hand in the Ubuntu commands and an OLD computer then tries the Linux Puppy distribution based on Ubuntu 16.04. The approach of the Linux Puppy is very simple and most of the things are customized to run on the old computer hardware with low RAM and slow processors. The total size of the Puppy Linux distro is around 200MB. It can be downloaded in the ISO file format and can install from CD/DVD or USB along Live boot option. However, having 256MB RAM and a 512MB swap file is recommended. Linux Lite is another open source & free Operating System that can be another good alternative to Windows XP. If you are moving from Windows to Linux operating system. Because after installing the Linux Lite, the Windows XP users can easily use the familiar software those are pre-installed like as Skype, Steam, Kodi, Thunderbird email client, GIMP graphics editor, VLC media player, Spotify, free Office and more. 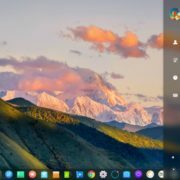 Most of the basic software for day to day usage comes with the Linux Lite out of the box and you can use them straight after install and first boot. The DE (Desktop Environment) layout interface of the Linux Lite is also pretty much like Windows suite. It is based lightweight Xfce desktop environment makes things easier for the beginners. All the Linux Lite releases are based on the Ubuntu LTS series which means you get Long Term support of minimum 5 years for each release. After installation, you will keep getting the security updates. 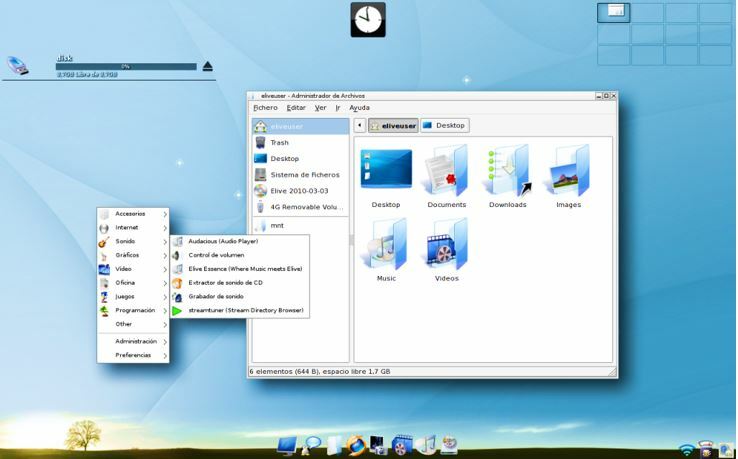 The Elive Linux is Debian based Linux distro and uses the Enlightenment Desktop environment as a user interface. It was developed and maintained by a single person via the donations amount. 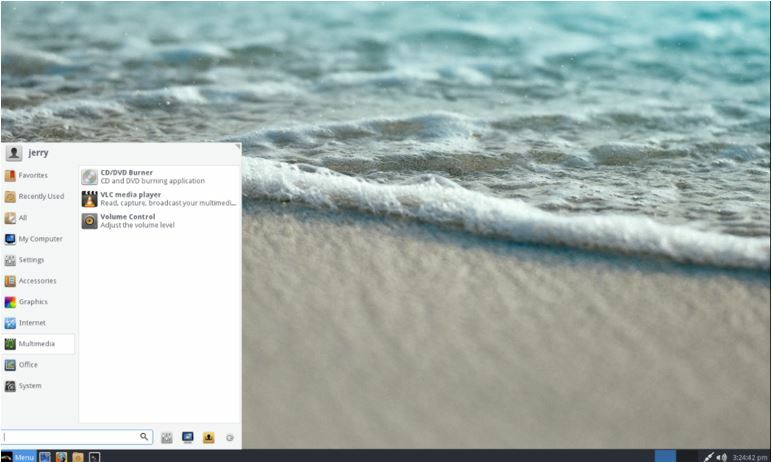 It has the customized version of Enlightenment to offer light and fast Linux desktop environment that allows it work great on the oldest computers and because of Debian based it is stable as well. The Elive can be easily handled by the Linux beginners and non-experience users because of the mixture of Windows and a kind of MacOS interface look such as the docker and the folder icon are both seems familiar. It comes with useful pre-installed software applications such as LibreOffice, Skype, Gimp, Inkscape, Blender, Avidemux, Cinelerra, and VirtualBox. antiX is a fast, lightweight and easy to install systemd-free Linux live CD distribution. The desktop environment it uses known as antiX magic and this Linux distro itself based on Debian. It built for both old and new computers running on Intel-AMD x86. The antiX Linux is a flexible and free operating system which can be used by both beginners and experienced users of Linux. So, If you have Intel Pentium 111 /3 running on the 256MB RAM then no need to throw that in thrash you can use install and run antiX. The installer needs minimum 2.7GB hard disk size. You can also run it live. The size full antiX distro is 800MB while the base distro is 620MD and if go for the core and net one then they are available at 310MB and 150MB size respectively for 32 bit and 64-bit computers. Minimum 1GB and recommended 2.7GB hard disk size. Lubuntu is another fastest Linux distro on our list with LXDE as a desktop environment. You can call it lightweight ubuntu or Ubuntu lite version with clean and easy to use user interface. 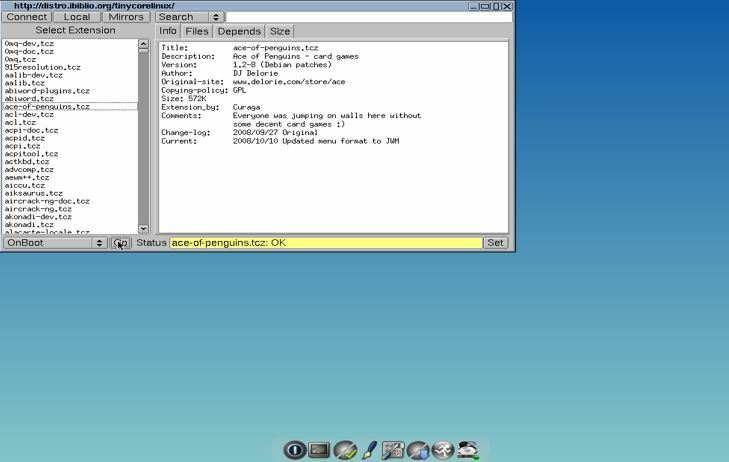 Lubuntu has very low hardware requirements but still, the interface of the Lubuntu Linux distro looks very cool. It also comes with pre-installed applications such as Mozilla Firefox web browser, free office suite, MTPaint, email client and more. If you want a lightweight Ubuntu Linux distribution for an older PC and virtual machine it is for you. Lubutnu is also available for Raspberry Pi 2 & 3 board Versions. And the image for Raspberry Pi was created using the Ubuntu Pi Flavour. I can’t say that it is very small size Linux because the ISO image file size of current Lubuntu is around 900MB, however it pretty much small as compared to the modern full-fledged Ubuntu and other Linux distros those are around 4.5GB. At least 266 MHz or Pentium 4, Pentium M, AMD K8 or any newer CPU. Bodhi Linux is lightweight one of the fastest Linux distro using the Enlightenment desktop environment. It is based on the latest Ubuntu LTS release. Basically, the Bodhi is a fork of the Moksha Desktop. To make the installation of common software easy the Bodhi Linux also has an inbuilt Appcenter that feature different categories of software such as Burning Software, Chat Clients, Email Clients, File Managers, Games, Icon Sets, Image Editing, Image Viewers, Math and Science, Moksha Modules, Multimedia, Multimedia Production, Office Software, PDF Readers, System Tools, Text Editors, Themes, Torrent Clients, and Web Browsers. However, the Bodhi Appcenter has enough applications to make your work execution smoother but out of the box, it includes only a few important applications like browser, image viewer and more. Slax Linux is also known as pocket Linux because of its small size which allows it to run directly from the USB or pen drive. It is one of the fastest, small and portable Linux operating system which has a modular approach. The total OS size is 265MB, despite being so small it has a nice graphical user interface which allows Linux beginners to works easily with it. It comes with only two applications a web browser and a Terminal which you use to install more. It is based on Debian and gives the same stability and repository benefits that Debian has including 10,000 of prebuilt packages with applications those can access using the apt command. If you want a fastest Linux distro that enough lightweight to run directly from the CD or USB drive then the Knoppix is the best option. 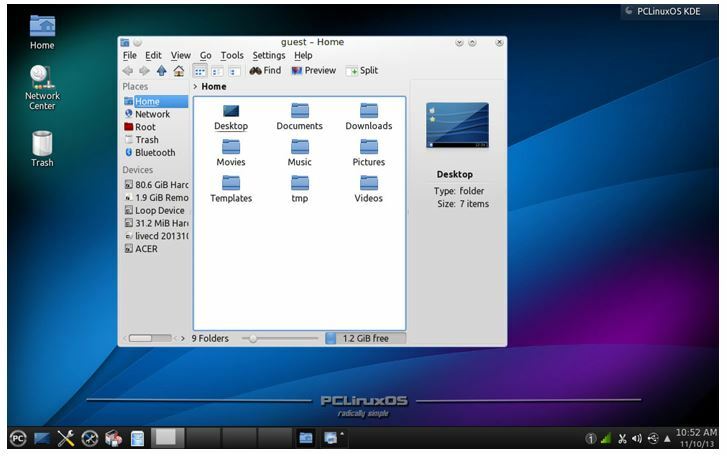 It is a free and open source Live Linux CD based on LXDE desktop environment that boots directly from the CD or DVD and even can use to modify the Windows partitions. The best part is the Knoppix DVD includes all basic and popular software such as OpenOffice.org, Abiword, The Gimp, Konqueror, Mozilla, Apache, PHP, MySQL and hundreds of other quality open source programs. Remeber, it is a Portable (Live only) Linux distro. 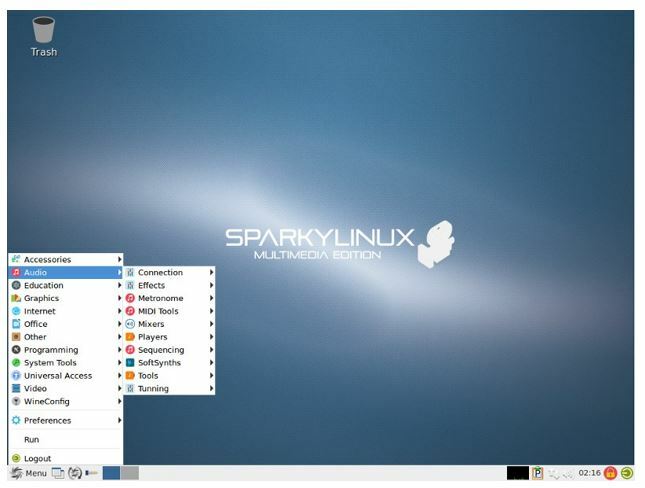 SparkyLinux is fully customizable lightweight and fast Linux distro that can run 256 RAM. 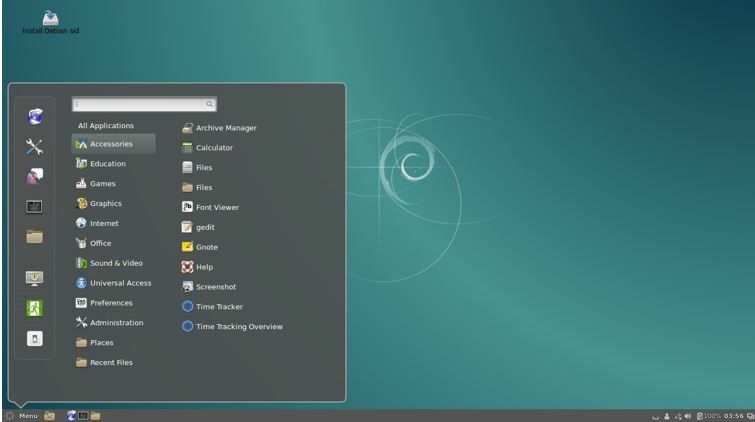 It is based on Debian that ensures its stability and built around the Openbox window manager. 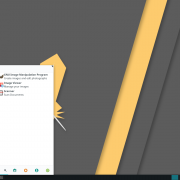 The specialty of this Sparky Linux distro is it offers a 3 Special Editions — GameOver, Multimedia & Rescue to fulfill different users demands and furthermore support about 20 desktop environment and window managers. It comes with LDXE or LXQt desktop environment and contains all the software a home user wants out of the box. Some of its features are supports most wireless and mobile network cards, multiple codecs and plugins, own repository, the stability of Debian, CLI Edition (no X) for building customized desktop, 20 desktops and more. 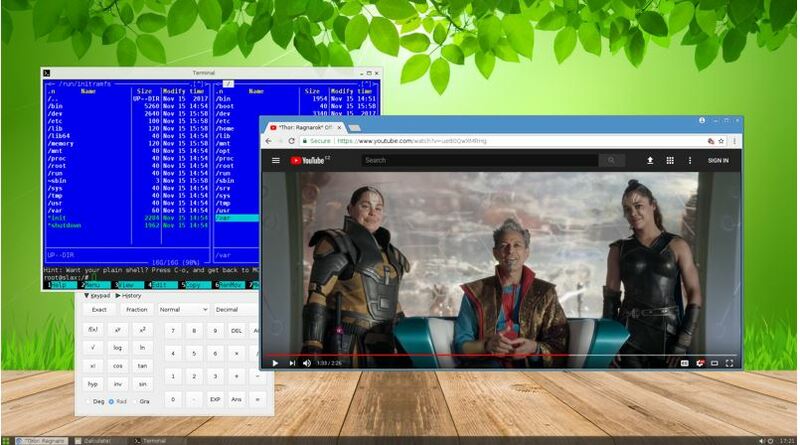 This Lightweight Linux distro is meant for Linux professional but Linux beginners can also use it if have some knowledge of Linux. 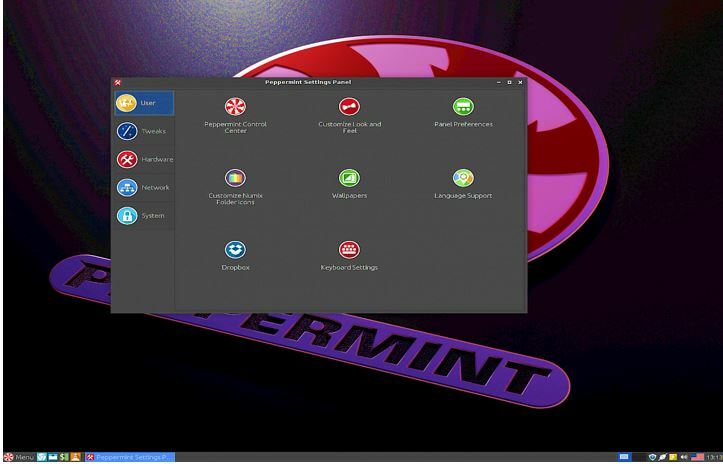 Peppermint OS is a cloud-based Linux distribution and comes with cloud & web application management tool. And that’s why it is fast and lightweight operating system. As most of the fastest Linux distro mentioned in this list, it also based on the Ubuntu 16.04 code base and supports both 32-bit and 64-bit hardware. So, the Ubuntu’s familiar can get the benefit of the Peppermint because of the same command line and software repository. 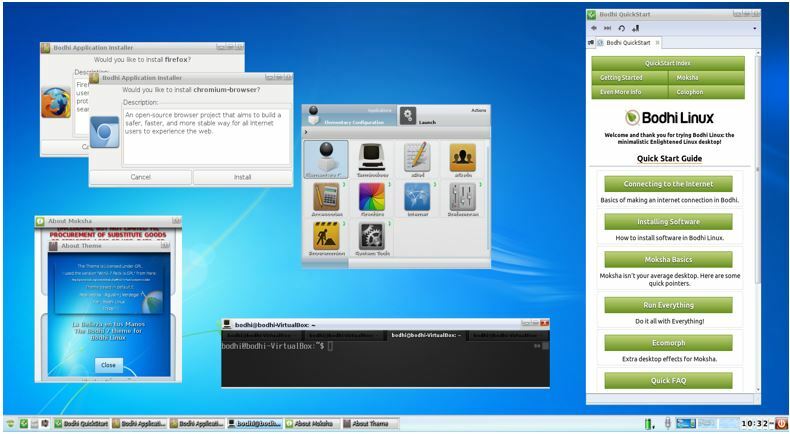 The Linux desktop environment it uses is Cinnamon desktop environment which is known for its lightweight nature. It uses the Nemo file manager which allow smooth management of files over the network. As it is hybrid cloud Linux operating system it comes with cloud & web application management tool called ‘Ice’. It allows web applications to place between the locally installed apps in system menus so that you can work smoothly without distracting. So, in this way, it delivers the cloud application to you via (Site-specific browser) SSB’s so they mimic locally installed applications. It the OS on which the popular Ubuntu and lots of other Linux operating systems are based. Debian currently uses the Linux kernel or the FreeBSD kernel. It can be used from individual to large enterprises because of its stability. Moreover, it supports all type of Desktop environments form GNOME and Plasma to lightweight environments like Xfce and LXDE, even the lightest window managers like Openbox and Wmii. If someone needs a small size Linux that uses the RPM software packages then the PCLinuxOS is there. It is also a Linux based operating system that can run on any Intel-based x86_64 desktops or laptops. You can install it directly from the USB or CD drive or can run it as LiveCD. It is available in the form of ISO image. Moreover, it supports 85 languages. The desktop environment it uses is KDE. Prcoessor: Any Intel, AMD or VIA x86_64 processor. The Ubuntu mate is the on this list because of stability, graphics and wide community support. If someone has 512 MB RAM and 1.0 GHz x86 or x86_64 Processor old computer then he/she go for the Ubuntu Mate. It is available in both the 32-bit and 64-bit versions. 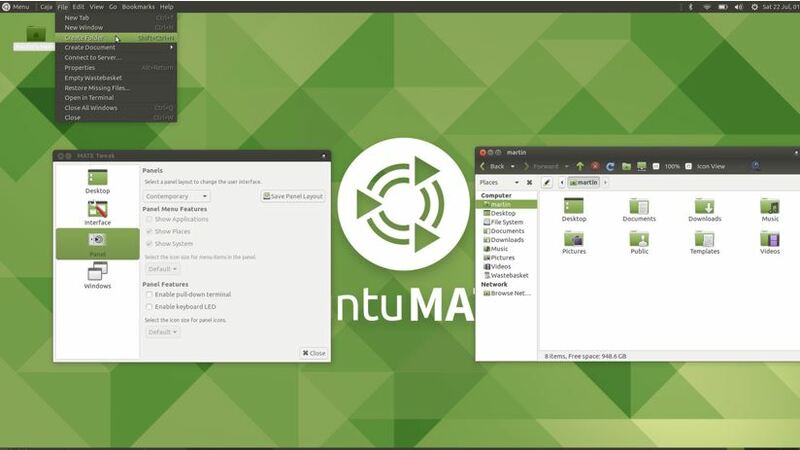 The user interface of the Ubuntu Mate is based on the Gnome2 desktop environment and it can run a wide range of hardware such as modern desktops and laptops, microcomputers and older hardware too. This Tiny Linux distro is really very small in size which is just 12MB without graphical user interface and on 17MB, it offers the FLTK or FLWM graphical desktop environments. Apart from these two variants, it also available as core project that one can use to build his own Linux environment. Besides all the Tiny core is available as CorePlus that is bit heavy in size as compared to other Tiny core offerings, available in 106MB. 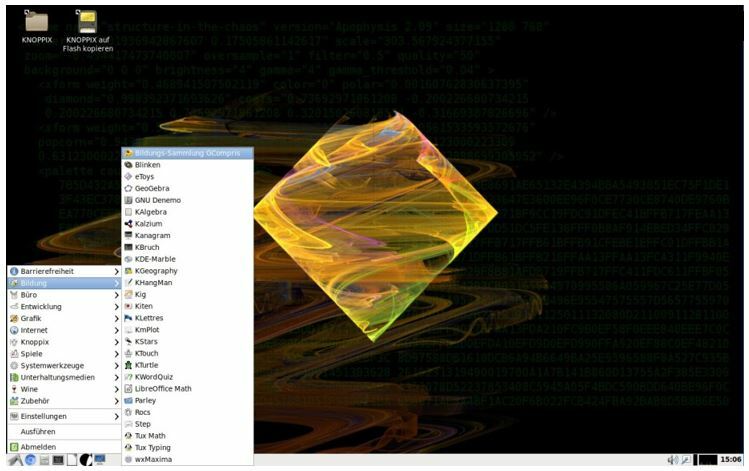 This customized version of the TinyCore Linux offers lightweight window managers such as IceWM and FluxBox. And also support Wi-Fi and non-US keyboards. The 32-bit and 64-bit versions for Raspberry are also available called PiCore. If you are using any of the lightweight and fastest Linux distributions mentioned above or know any other good Linux distro, please let us know; the comment box is all yours!! I have a old laptop that i want to use a light version of Linux to use pass around to anyone who needs the web. How can I get it to be in a kiosk mode where after a person logs off all history is gone. This is going to be a shared laptop. Any ideas anyone? Rather using lightweight Linux os, I would like to suggest your try open source Kiosk operating system such as Porteus Kiosk. Porteus Kiosk is full-fledged dedicated Linux distro that is meant for Kiosk machines. It is lightweight Linux Distro that allows using only the web browser and restricts the user to use any other features or applications. Also, the browser in the Porteus Kiosk is locked down in order to stop someone from tampering the browser settings or downloading and installing software. Nice article and comparison chart – only one I’ve seen. Keep it rollin! Thanks for the help.